Functioning and high-performance digital infrastructures form the basis of Germany’s successful digital transformation. The densely populated state of North Rhine-Westphalia, in particular, which is still impacted by the structural change which marked the end of the coal and steel industry, needs state-wide strong networks in order to compete as an industry location. To date, only seven percent of households in NRW have fiber optic connections, with ten percent of addresses having fiber optic connections in their streets. But the expansion of an efficient gigabit network is only one factor at play here. “Digital infrastructure does not simply mean broadband expansion, but also includes a strong network of data centers, colocation and cloud infrastructure providers, as well as Internet and hosting service providers.” This statement was made by Béla Waldhauser, Spokesperson for the Alliance for Strengthening Digital Infrastructures in Germany, founded under the umbrella of the eco Internet Association, in conversation today with Christoph Dammermann, State Secretary for the Ministry of Economic Affairs, Innovation, Digitization, and Energy of the State of North Rhine-Westphalia and business representatives. “Operators of digital infrastructures form the real backbone of all digital value creation and innovation ecosystems. Politicians must finally accord greater economic significance to their innovation and potential, as well as to the challenges that they face, and include them in policy concepts,” continued Waldhauser. So far, the political framework conditions for operators of digital infrastructures in Germany are sub-optimal in international comparison – and also when compared to economically far less promising industries. A shortage of skilled workers, lengthy approval procedures and, last but not least, high electricity costs are clear locational disadvantages and a danger for Germany as a digital location. This is the result of a recent study commissioned by the Alliance and carried out by the Borderstep Institute for Innovation and Sustainability. The state of North Rhine-Westphalia has recognized the potential and the associated challenges of digital transformation for the future viability of the location and, with the establishment of an Economic Affairs and Digital Ministry, has set important wheels in motion for the areas of e-government, IT security, start-up promotion, broadband investment on a fiber optic basis, and digital education. “Above all, we want to advance digitalization in NRW by improving the framework conditions for digital start-ups and business models. To this end, we will continue to reduce bureaucratic hurdles and will have established state-wide gigabit networks by 2025,” said Christoph Dammermann, State Secretary for the Ministry of Economic Affairs, Innovation, Digitalization, and Energy of North Rhine-Westphalia. In this context, the Alliance for the Strengthening of Digital Infrastructures is looking in particular for a strategic strengthening of data center operators within the framework of the planned NRW Digital Strategy. “The state government’s digital strategy sets out how we intend to position ourselves as a digital frontrunner in Germany. The operators of digital infrastructures are strong innovation drivers and important partners in achieving our ambitious goals,” added Dammermann. Download the full Borderstep Institute study (in German language) “Bedeutung digitaler Infrastrukturen in Deutschland”. 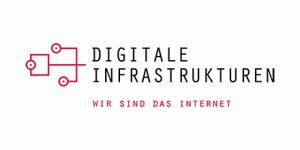 Further information about the Alliance for the Strengthening of Digital Infrastructures in Germany.